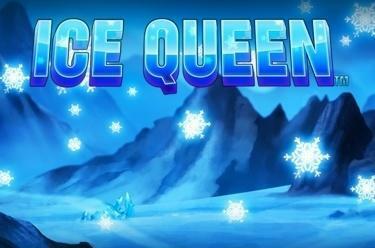 Play Ice Queen™ online for free now! Ice Queen™, a slot with 5 reels and 243 winning paths, grants you an audience with the beautiful ice queen in her winter wonderland. The snowy owl scores the highest winnings. Your aim with the slot Ice Queen™: 5 identical winning symbols that land from left to right on one of the 243 winning paths. 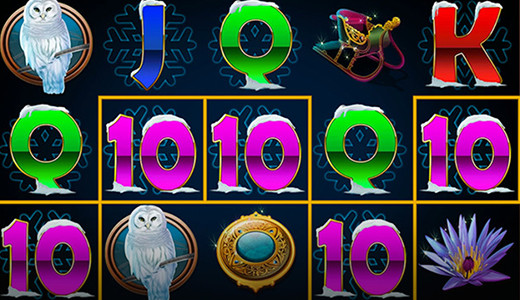 The ice queen helps you twice to earn winnings: She acts as a Wild symbol and substitutes for all symbols except for the Scatter symbol and she grants you 2 free games if she is part of a winning combo. The ice queen lands on reels 2, 3 and 4 only. The same applies to the Scatter, the ice cube symbol. If it lands at least 3 times in any position on these reels it triggers the Cubes-of-Fortune-Feature. The free games triggered by the ice queen are played with the same settings as the regular game. You can earn additional free spins during the free games in which all winnings are tripled. The Cubes-of-Fortune-Feature is repeated up to 8 times in total. Take your thickest coat out of the wardrobe, don your snowshoes and get ready for the big freeze - the Ice Queen™ awaits you in her glittering winter wonderland! Your journey through the frosty reel landscape is not for nothing though: During your audience with the ice queen you receive 2 free games as a present. If you succeed in warming up the heart of the beautiful ruler and melt the eternal ice hot Twist winnings are coming your way!